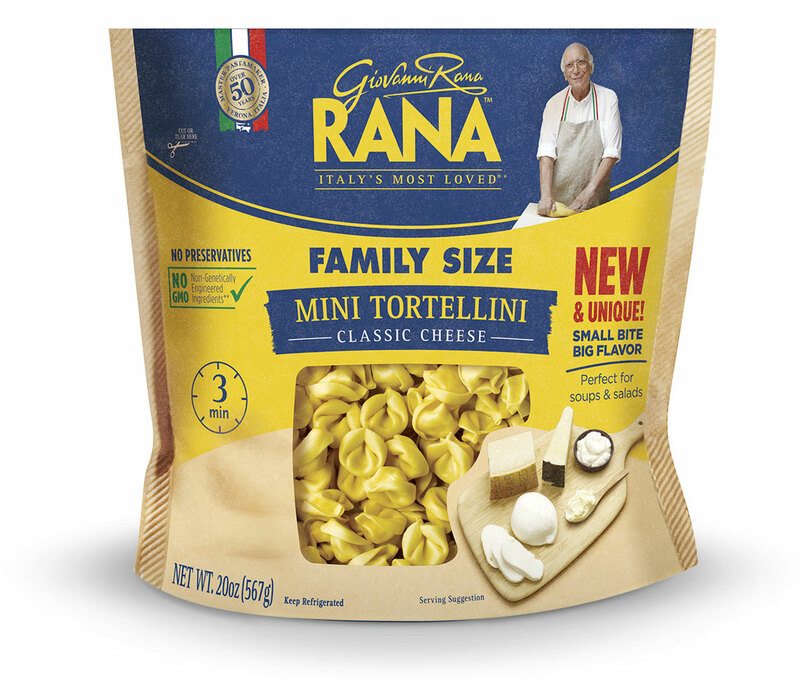 I found these great mini fresh tortellini by Rana and had to buy them. Wasn’t sure what I was going to do with them but bought them anyway. Am I glad I did! I was having an Alfredo craving, so knew what direction I was going in. I make a dynamite Tortellini salad usually, but not this time. I started by boiling the water for the tortellini. Then in a saucepan, I melted the butter. I threw in some fresh broccoli and wanting a hint of onion flavor opted for some scallions I had in the fridge. 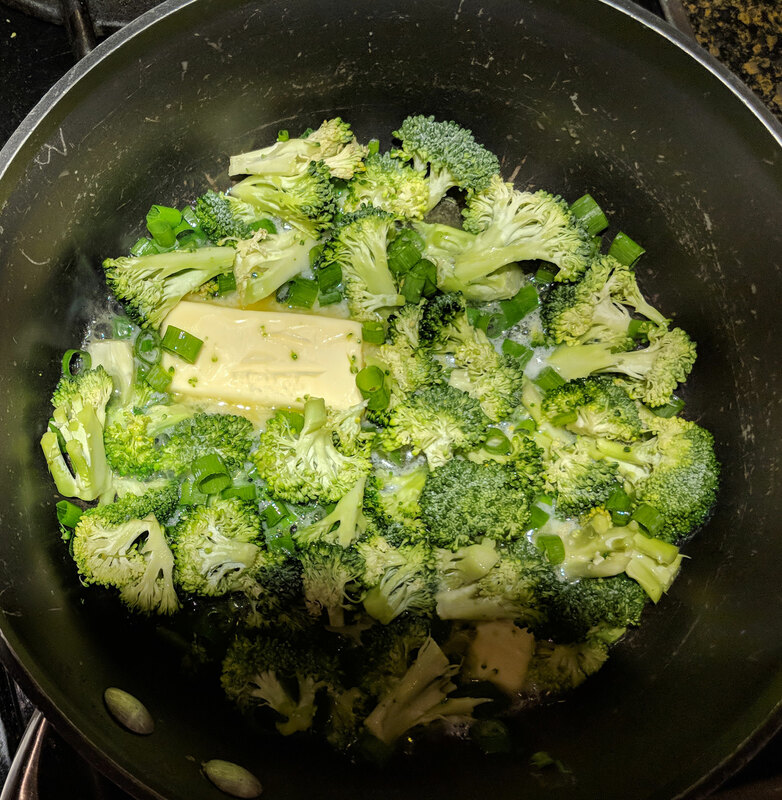 I sauteed the broccoli and onion until broccoli was slightly soft. Then I threw in one minced large garlic clove, and sauteed for about 30 seconds. I threw in the grated Parmesan cheese and the heavy cream (make sure to “temper” the cream before putting into the hot veggie mixture, so it won’t curdle). Threw in a little parsley, and cook on medium until thick and creamy. Don’t let it come to a full boil as it may curdle. Mix with tortellini add salt and pepper, more cheese if desired. 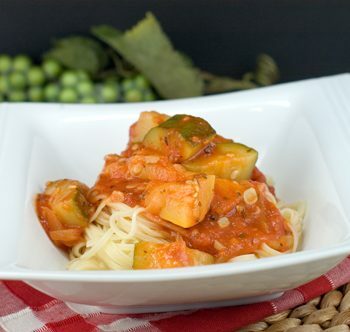 This is totally delicious and super easy! 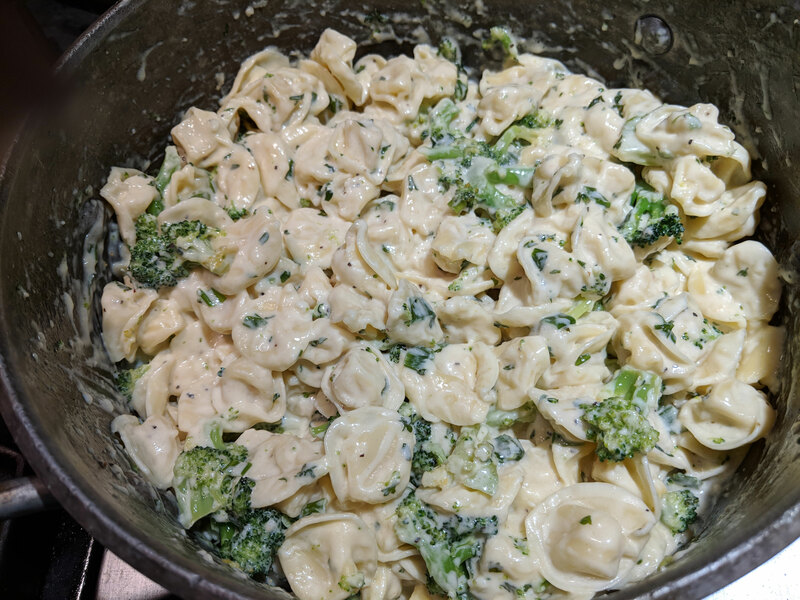 Cook tortellini, saute veggies, add cream and cheese, and mix. 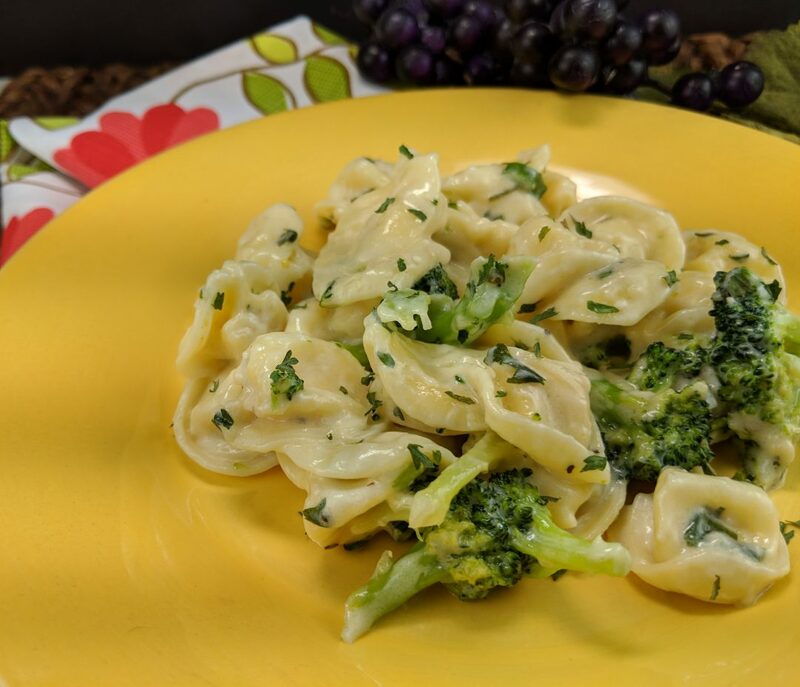 It’s hard to believe this Alfredo is this easy! 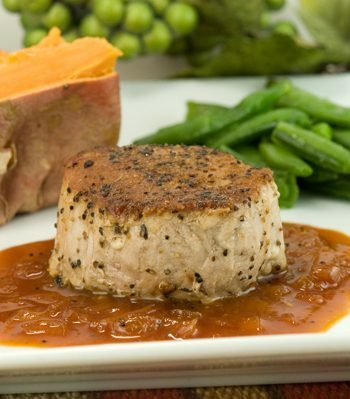 You will never think of prepared, jarred sauce after you have this. 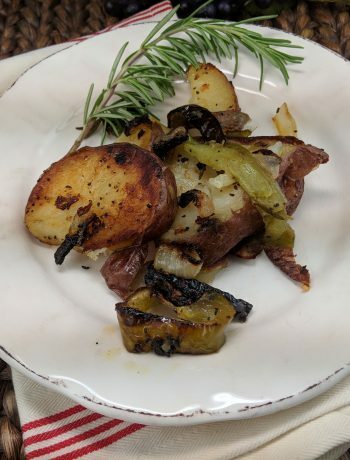 Even “non-cooks” will say how easy this is! Cook tortellini according to package directions; drain and put on a tray to cool and dry slightly. While tortellini is cooking, in saucepan, melt butter over medium heat. Add broccoli and scallions and saute until crisp tender. Add garlic and saute for 30 seconds. Gradually stir in cheese, then cream until well blended. Continue heating sauce, stirring constantly, just to boiling point, and mixture is thick. Do not boil, it may curdle. 3. Remove from heat; stir in parsley. 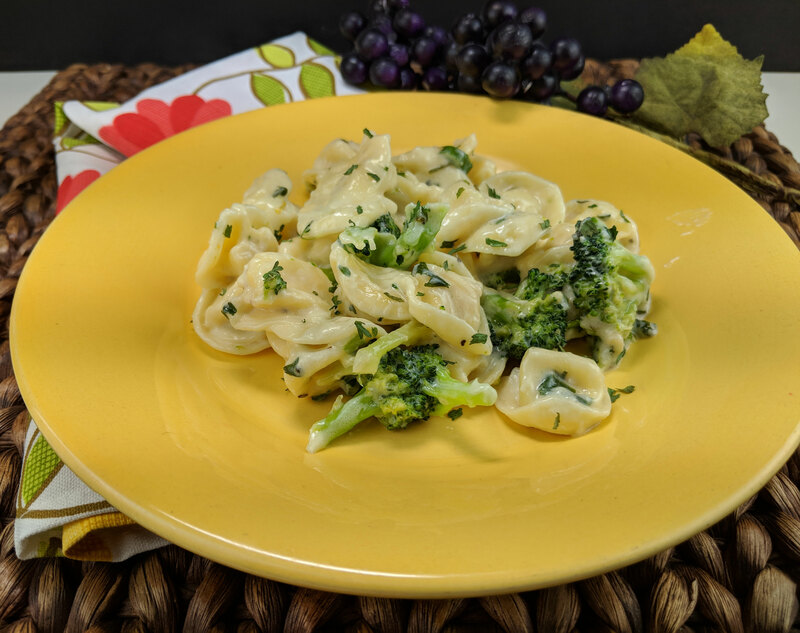 Toss sauce with tortellini. If you can't find mini tortellini, regular size would be perfect also.